Jim Hill died on February 20th at Cottage Hospital in the loving embrace of his wife and dear friends. Dearly beloved husband of Elizabeth Rumelt, devoted and much loved stepfather of Judith Rumelt,loving brother of Rand and brother in law of Lynn, Nao, and Tim, understanding uncle to David and Ben, and loyal friend. A memorial gathering in his honor will be held at his home, 205 East Calle Laureles, starting at 2:00 on April 23rd. All are welcome to come and share memories and gratitude for having known this remarkable man.Please RSVP to 563-8040 if you plan to come. Jim was a person of many interests and talents. Born to John and Marietta Fitzgerrell Hill in Chicago,his love of music led him to California to study sarod with Ali Akbar Khan, and he incorporated much of what he learned into a lifetime of playing the guitar. After obtaining a degree in architecture from SIARC in Santa Monica, he worked at Los Angeles Family Housing, a non-profit which retrofitted old buildings for homeless and medical shelters. The job helped him see that he was more gratified by helping change people’s lives than by constructing buildings, and he became a counselor in addiction programs at St John’s and Del Amo Hospitals leading to a Masters Degree in Social Work at UCLA. 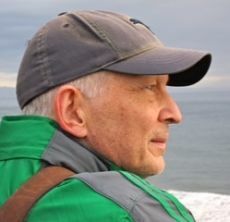 With a diagnosis in 2010 of a rare, untreatable and ultimately terminal disease, he was challenged to use the tools to address the psychosocial and spiritual dimensions of dying he had learned in the Metta Program for End of Life Care Practitioners to face the end of his own life. The diagnosis was followed by a burst of artistic creativity which led to two art shows, in 2012 in San Diego at the Creative Arts Center and a one-man show in February 2016 at Hospice, where the understanding and admiring reception for his art was the highlight of his last years. His diagnosis was also followed by intellectual activity, and in one year he finished both Proust’s seven-volume “In Search of Lost Time” and the twelve volumes loosely inspired by it, Powell’s “A Dance to the Music of Time,” a possibly unique feat. The love and caring he had extended to clients, friends and colleagues were rewarded by their support and loyalty to the end, including that of the Home Care team of Visiting Nurse Association whose members extended themselves to their former colleague to alleviate his suffering and give him some quality of life. His brother Rand will remember that Jim was always his hero and what an amazing brother he was. His stepdaughter Judith will always remember with love his kindness and unwavering support and faith in her, and the music he played at her wedding to Josh Lewis, who also remembers him with love and gratitude. His wife will be forever grateful for the years she shared with him, for his following the Metta precept of a heart filled with love and kindness, for the joy he experienced in her daughter’s success, and for his sense of humor, which remained throughout and often turned a difficult moment into a source of pleasure. Gifts to Visiting Nurse or Hospice of Santa Barbara would be appreciated.